The perfect spring bake from Stella magazine: faintly exotic yet fully comforting rhubarb squares with almonds and mint; ideal for a typically indecisive March day of bright, radiant sun; dancing light and cold, iron-grey hail showers. This rich, flavourful cake is great with a cup of tea (especially Earl Grey) but do be advised that it’s best eaten on the day of baking – like all fruit sponges, this cake becomes a little damper – as opposed to drier – as it sits. Either way it’s a lovely cake for this time of year and would be a great option for Easter Sunday – the rhubarb tastes fresh and bright and the oval almond slivers look like spring in cake form. If you want to incorporate a little more pretty pink rhubarb into the mix, swirl a small amount of strained, rose-water fragranced rhubarb purée through the cake batter before baking. Preheat the oven to 160c. Line a 23cm (9-inch) steep-sided square baking tin with enough baking parchment to overhang the tin. Cream the butter and sugar in a freestanding mixer until pale and fluffy and add the eggs one by one, incorporating each entirely before adding the next. Set aside. 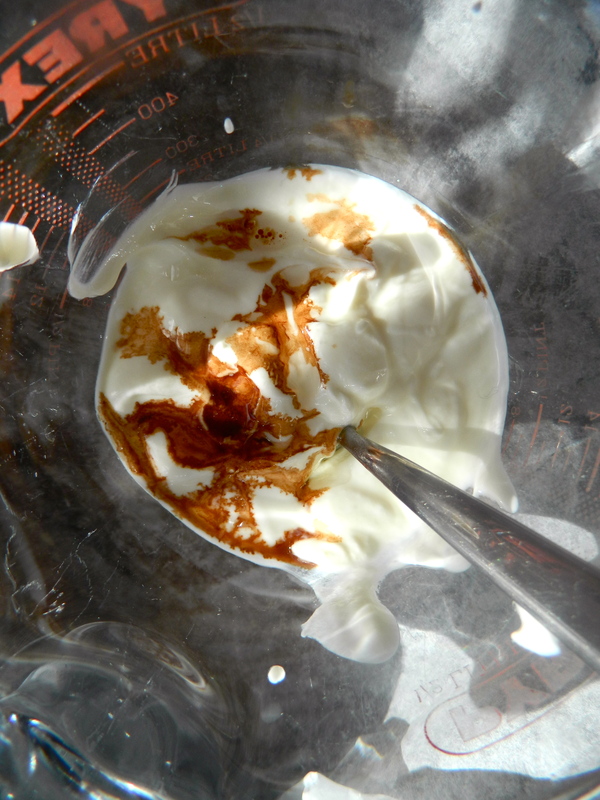 Combine the Greek yoghurt with the almond and vanilla extracts, along with any other desired flavours – ie, cardamon pods, orange flour water etc. 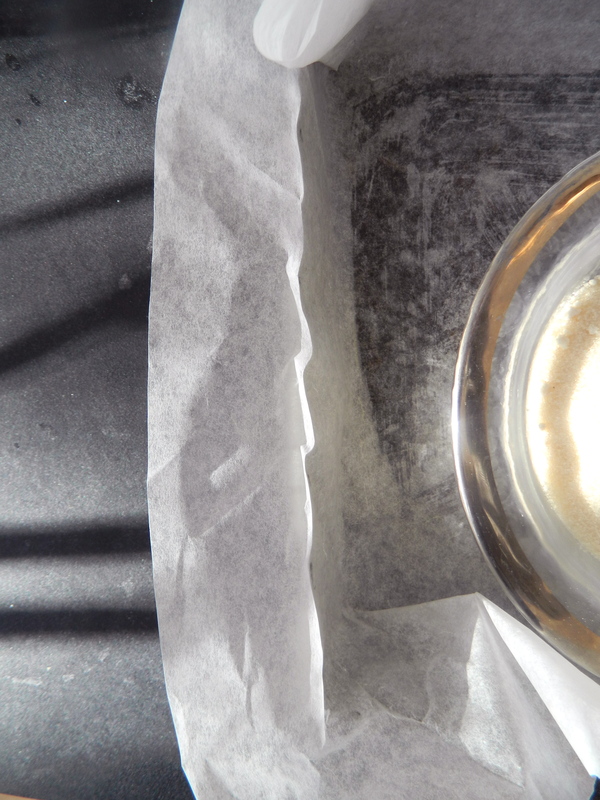 In another mixing bowl, whisk together the flour, ground almonds, baking powder and baking soda. 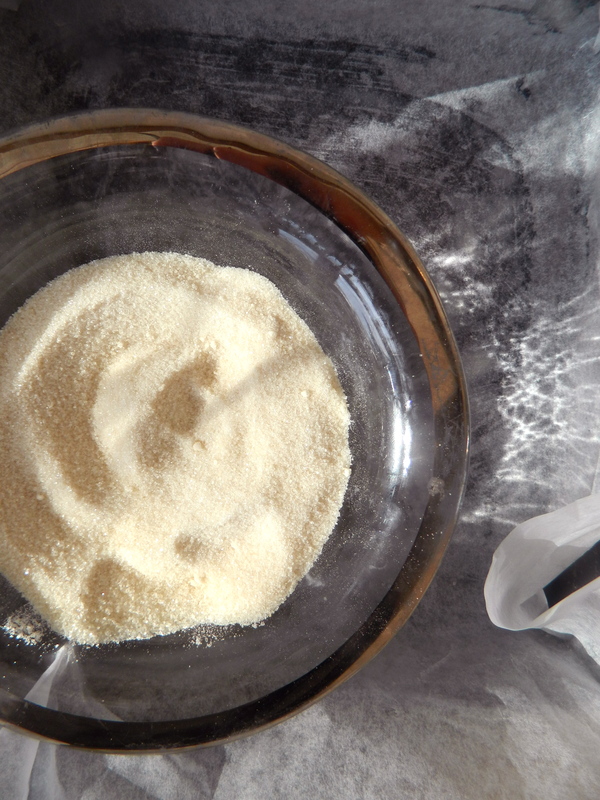 Add the dry ingredients to the butter and egg mixture in three batches, starting and ending with the flour. 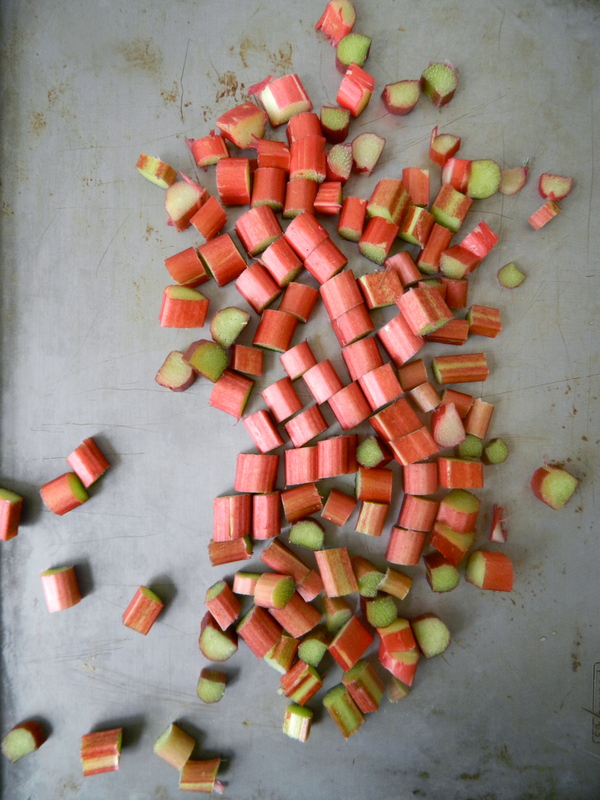 Wash the rhubarb and then top and tail. Slice into 2cm pieces and place in a bowl. Add 2tbsp sugar and the diced mint and toss together. Spoon the batter into the prepared tin and smooth the surface. 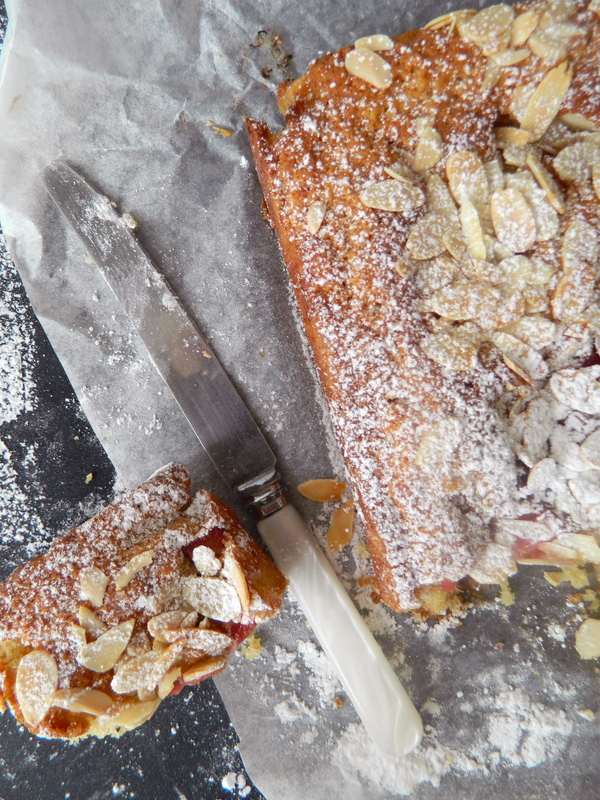 Press the rhubarb pieces around the edges and bake for 10 minutes – add the flaked almonds after a little while. Bake for 50-60 minutes, or until a skewer comes out clean and the top of the cake looks set and golden. 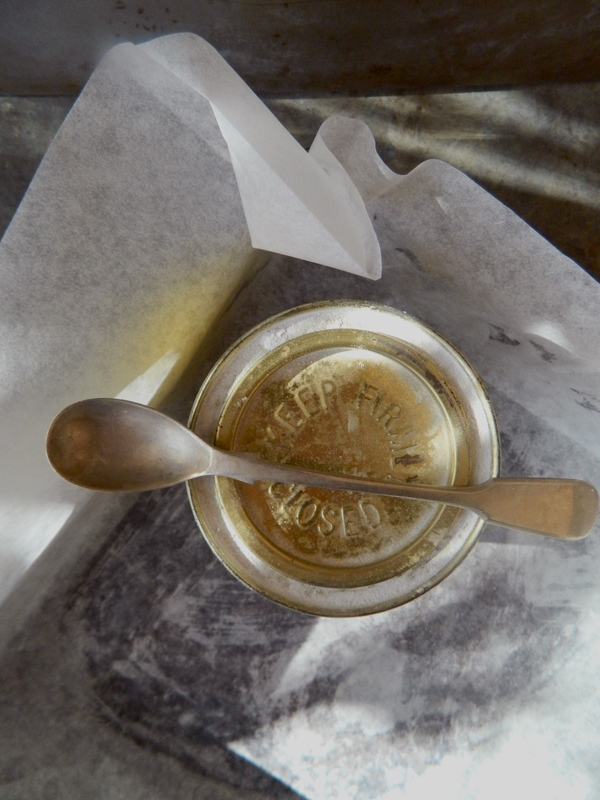 Remove the cake from the oven and allow to cool on a wire rack in its tin for ten minutes. 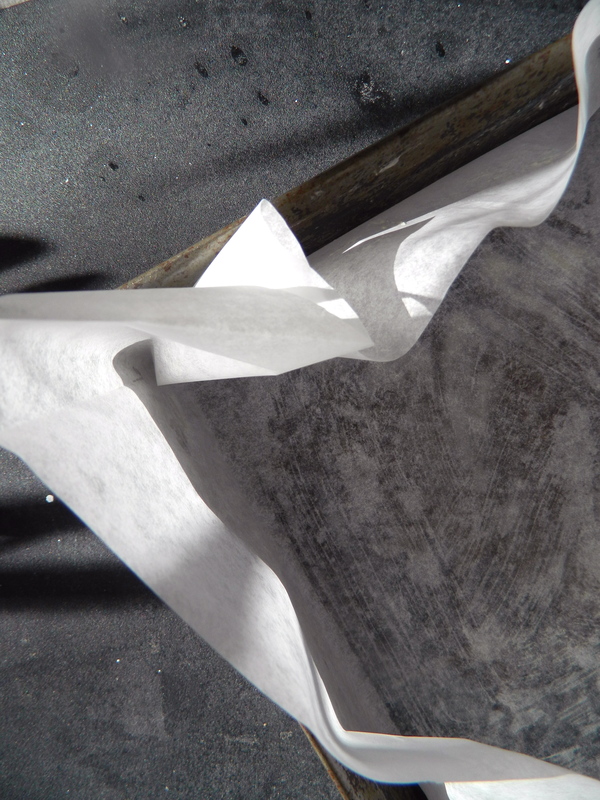 Then lift it out of the tin using the parchment overhang. Peel the paper back from the cake slightly and leave to cool completely. 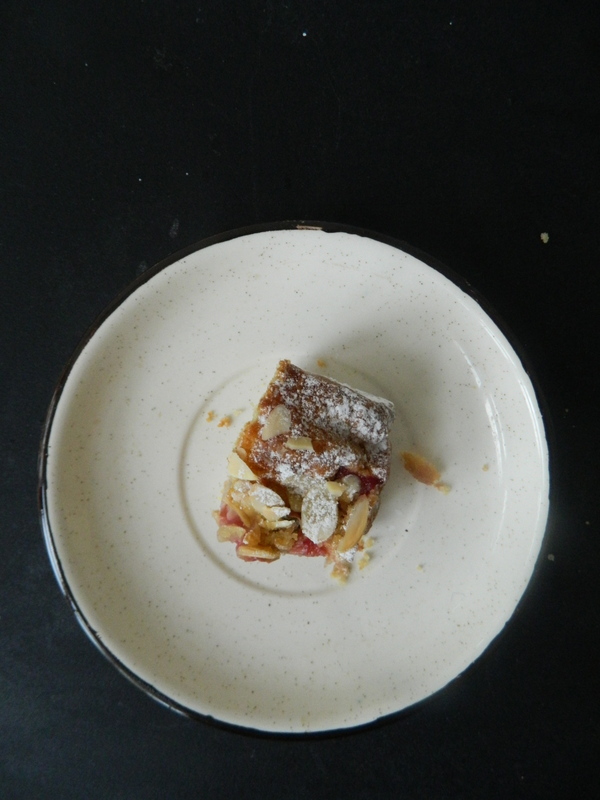 Dust with icing sugar and cut into squares before serving. Born & raised in Dublin but recently relocated to London, I've been blogging about food in all its forms for the past five years. Whether I'm writing from Ireland, Britain or somewhere else on my travels, cooking with ingredients that I've sourced from the surrounding area has always been a huge focus for me, be it through sourcing, growing or foraging local food. Heartbroken to hear about this beautiful old building, the grande dame of Paris, and one of the most impressive and eye-pleasing pieces of architecture I’ve ever had the luck to see. Hope the rest of the night is kind to it and that what’s left can be salvaged in some way. Follow Me On Instagram Too!